LEXINGTON, Ky. — The Kentucky Court of Appeals has upheld the right of a Christian screen printer to decline to print t-shirts for a homosexual pride event. “Nothing in the [Lexington-Fayette Urban County] fairness ordinance prohibits HOO (Hands on Originals), a private business, from engaging in viewpoint or message censorship,” wrote Chief Judge Joy Kramer in the 2-1 decision on Friday. “Thus, although the menu of services HOO provides to the public is accordingly limited, and censors certain points of view, it is the same limited menu HOO offers to every customer and is not, therefore, prohibited by the fairness ordinance,” she said. 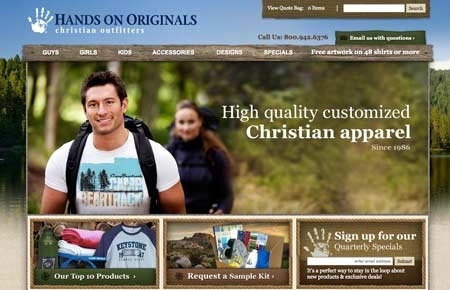 As previously reported, in 2012, the Gay and Lesbian Services Organization of Lexington (GLSO) approached the Kentucky-based Hand On Originals—a company that identifies as “Christian outfitters” and providers of “Christian apparel” on the homepage of its website—to print t-shirts for the Lexington Gay Pride Festival. When manager Blaine Adamson declined the order due to the company’s biblical convictions, GLSO filed a complaint with the Lexington-Fayette Urban County Government Human Rights Commission (HRC). HRC examiner Greg Munson ruled in October 2014 that Hands On Originals violated the law by not printing the shirts for the event. The company was then ordered to undergo diversity training so that it would not decline to print such messages in the future. “The evidence of record shows that the respondent discriminated against GLSO because of its members’ actual or imputed sexual orientation by refusing to print and sell to them the official shirts for the 2012 Lexington Pride Festival,” he wrote. Hands on Originals filed an appeal with the Fayette Circuit Court via its legal counsel, contending that the ruling violated its constitutional right to freedom of religion and freedom of expression. In April 2015, the court reversed Munson’s ruling, noting that the company regularly does business with homosexuals, and so the decision not to print the shirts was not based on any person’s sexuality, but rather the message that the company would be forced to convey. The Human Rights Commission appealed the ruling to the Kentucky Court of Appeals, which upheld the circuit court determination on Friday in favor of Hands on Originals and Adamson. “Nothing of record demonstrates [the company] refused any individual the full and equal enjoyment of the goods, services, facilities, privileges, advantages, and accommodations it offered to everyone else because the individual in question had a specific sexual orientation or gender identity,” the majority opinion stated. It noted that GLSO representative Don Lowe never identified himself as a homosexual in placing the order, and the requesting organization isn’t limited to homosexuals. Therefore, the refusal had nothing to do with discriminating against a specific person, but rather the message that was requested. “Don Lowe testified he never told Adamson anything regarding his sexual orientation or gender identity. The GLSO itself also has no sexual orientation or gender identity: it is a gender-neutral organization that functions as a support network and advocate for individuals who identify as gay, lesbian, bisexual, or transgendered,” the court wrote. It said that businesses have the right to decline the creation of certain messages, otherwise essentially any citizen could file a discrimination complaint over the refusal of any order. “A man who requests t-shirts stating, ‘I support equal treatment for women,’ could complain of gender discrimination if HOO refused to print the t-shirts because it disagreed with that message. And so forth. Clearly, this is not the intent of the ordinance,” the panel explained. Adamson has said that he cannot print messages that are contrary to the word of God.